Previous estimates put deforestation at 35% to 55% on the continent since 1900. The new analysis estimates closed-canopy forests have shrunk by 21.7%, according to findings published Dec. 11 in the journal Nature Ecology and Evolution. However, research also shows that some West and East African forests have been reduced between 80% and 90%. 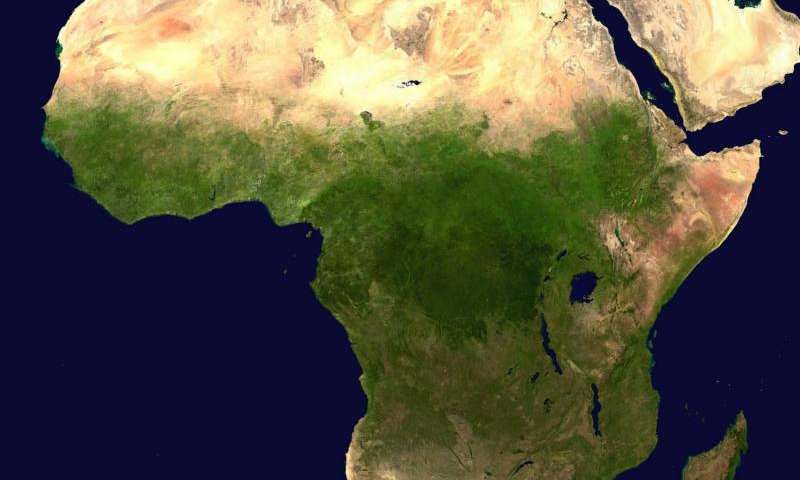 Earlier surveys incorrectly labelled ancient savannas as newly deforested regions, said A. Carla Staver, assistant professor of ecology and evolutionary biology and senior author of the study. The new analysis should help focus conservation efforts in Africa, she said. "There is a global effort to increase the number of trees that can trap carbon," Staver said. "In Africa, it would make the most sense to focus these efforts in areas that have truly been deforested rather than in areas which have long been savannas." Staver and former Yale postdoc Julie C. Aleman, now at the University of Montreal, used traditional sources such as early 20th-century European maps to estimate the extent of African forests in 1900. But the team also cross-checked the documents with paleontological records—including pollen, leaf parts known as phytoliths, and charcoal preserved in lake sediment and soil—to reconstruct the historical ecology of tropical regions of Africa. The single greatest contributor to continental deforestation was conversion of forests in West African countries including Ghana and Sierra Leone. However, the team also found that forests had actually expanded in Central African countries such as the Democratic Republic of the Congo and Central African Republic. "As conservationists, it is easy to look at this study as good news—that deforestation isn't as bad as we thought," Staver said. "The bad news is that central African forests have been spared because violent conflicts have prevented economic development, at the costs of human lives and livelihoods."